Hi guys! I am so excited to finally be pulling out my Halloween decorations. This is my favorite time of year! I was born in October so Halloween has always felt like “my” holiday. I don’t do creepy or gory, though. We’re more a vintage-y fun Halloween kinda’ family. This year I decided to make an old, worn spell book with the cutest winking witch on it to add to my other decor so I picked up an old book at the thrift store and gave it a little makeover. It came together really quickly and I am loving how cute it turned out! 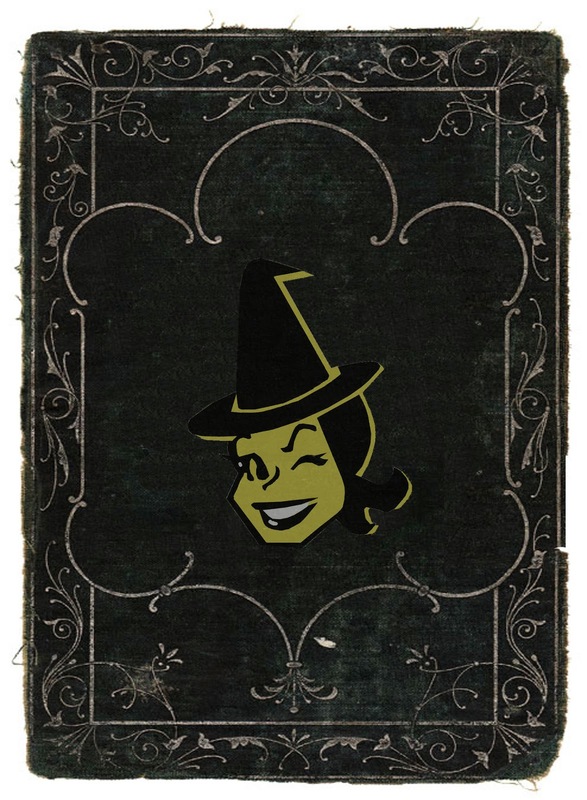 First, download and print the Halloween Spell Book printable images below. 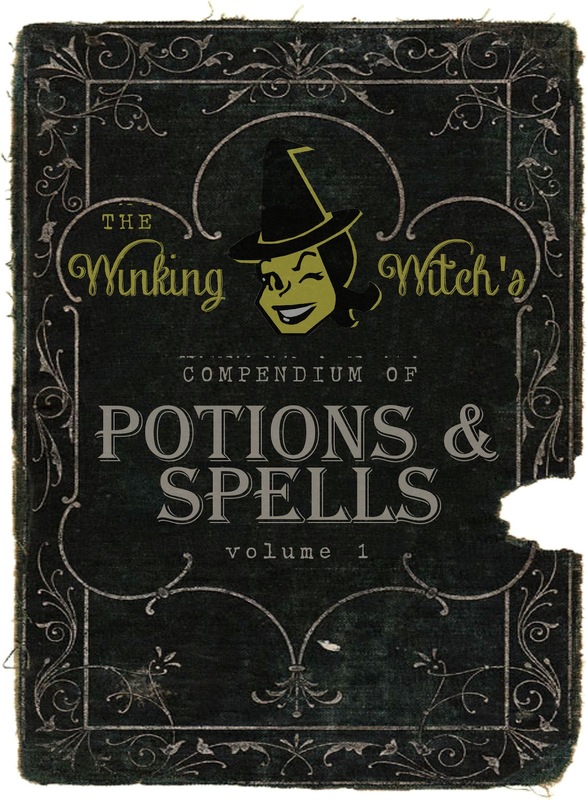 The cute little winking witch is my favorite part! You can scale the images a little bit using a photo-editing program to make them fit your book if needed. For really high quality prints, I took the files to Staples and had them printed in color onto card stock. To save the free Halloween printable, just right click on the picture and choose “Save As”! Easy! Next, prepare your book. Ideally, you want to look for an old book with a very plain black cover and spine, but that’s not always possible. If you can’t find a black book, you can use a little bit of black craft paint to cover the edges or any part of the book that might show. After the paint has dried, cut out the printed images and glue them to the book cover with Mod Podge. Paint a coat of Mod Podge onto the front cover of the book and apply the image, making sure to press out all the air bubbles. Paint a a second coat of Mod Podge on top to seal the image. When the front cover is dry, work your way around the book, applying the spine and back cover images in the same way. Once the Mod Podge is dry, sand the edges of the book to make it look old and worn. I used my Dremel tool with a sanding wheel attachment and it worked like a charm! Sand it as much or as little as you like. That’s all there is to it — just add it to your Halloween mantle or display to give it a fun vintage touch.